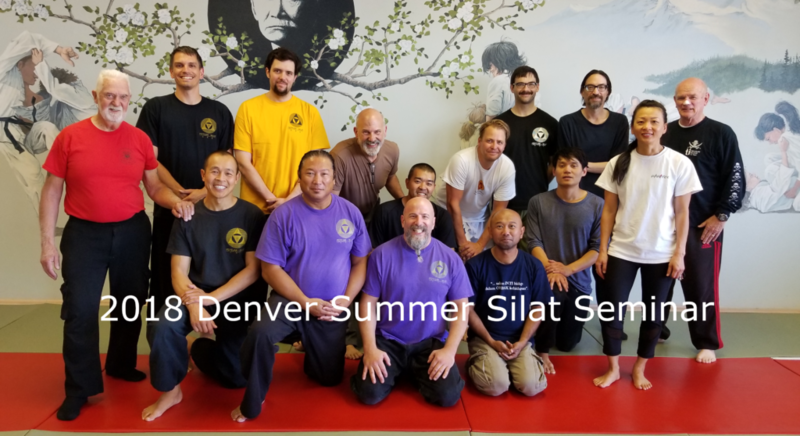 Welcome to Mile High Silat, offering instruction in Pencak Silat in the southwest Denver area. Pencak Silat is a close range martial art from Indonesia. It has been featured in movies such as Merantau, The Raid, The Raid 2, The Accountant, and more. The style of Silat taught by MHS is Serak, as learned by Dr. Andre KnustGraichen from Maurice DeThouars and Rudy TerLinden. Additionally we practice the AnakSerak program, developed by Dr. Andre, as in introduction to Serak and Silat in general. Mile High Silat is part of Pentjak Silat USA. We are a small group mainly practicing out of a garage in Littleton and occasionally in the Westminster area. To find out more about our classes, reach on on Facebook or via our contact form for more information. Mile High Silat is also working to help promote sport Silat in the US. To learn more about sport Silat and the effort to help Silat become an Olympic sport, check out the United States Sport Silat Association.